 Situated in Essex County, Hanover at Andover is within close proximity to downtown Boston, the Massachusetts seashore and the White Mountains of New Hampshire; Hanover At Andover luxury apartments delivers the heart of the city at your doorstep. Getting around town is super convenient with easy access to two major highway systems, interstate 93 and 495. Our location is also close to public transportation via two commuter rail service stations. Hanover At Andover resides in the bustling suburbs of Boston, next to some of Boston's biggest commercial and industrial employers. These employers include Raytheon, Phillips Healthcare, Pfizer, Putnam Investments and many more. Hanover at Andover also sits across the street from Minuteman Office Park, home to many large employers. So, whether you're looking to live closer to work or to experience real luxury, contact us today and schedule a tour! Hanover at Andover is a smoke-free community.